It's the largest outbreak in nearly two decades. Confirmed cases were found in 20 states, and are part of a global climb in the disease which has risen nearly four-fold in the first quarter of this year over last. Health officials attributed the rise to a few causes. In the developing world, short supply and a lack of infrastructure are to blame for high rates of unvaccinated communities. Meanwhile, in countries like the U.S. and Israel, a vocal minority of what the World Health Organization called “vaccine-hesitant” groups are refusing the vaccine — some for religious reasons, others because they believe the measles vaccine can cause autism or other disorders, contrary to scientific consensus. New York City has seen a particularly sharp rise in cases, prompting Mayor Bill de Blasio to declare an emergency, mandating the vaccine in Brooklyn and Williamsburg, which have seen high cases of outbreaks among their ultra Orthodox Jewish communities. Five parents have filed a lawsuit, saying the mandate violates their religious beliefs. 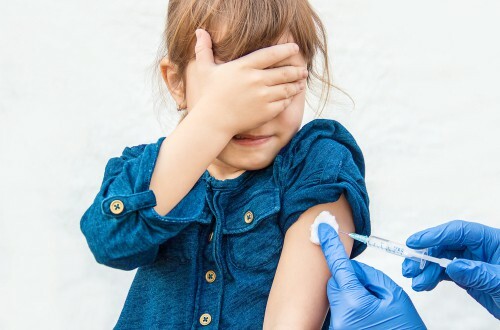 “There is insufficient evidence of a measles epidemic or dangerous outbreak to justify the respondents’ extraordinary measures, including forced vaccination,” said the lawsuit. Experts disagree, including Dr. Saad Omer, a researcher at the Emory Vaccine Center in Atlanta. “This is a very unforgiving disease,” Dr. Omer told the New York Times.